It is a quieter time at school with the matrics well into their mock exams, the grade 11s away on leadership and work shadow and the grade 10s writing their last exams of the year because of Epic at the end of the year. This week we heard the fantastic news that Angus Thring had come first in the National Physics Olympiad. This is a tremendous achievement considering that he has also won the National Science Olympiad. 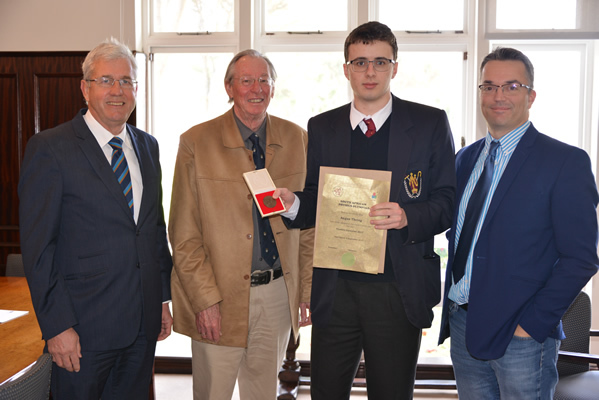 He was presented with his gold medal and certificate on Wednesday by representatives from the SA Institute of Physics. Well done indeed Angus, a superb achievement! Our 1st hockey and rugby teams finished the year on a high. 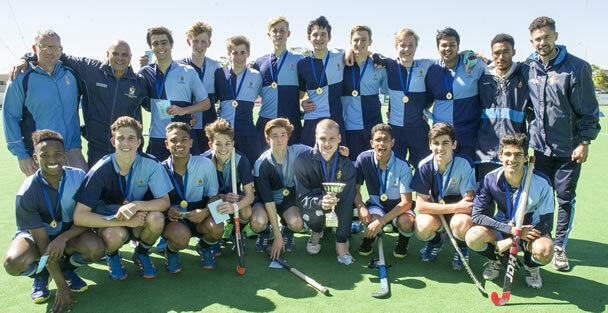 The 1st X1 hockey completed a very successful season by winning the Western Cape Schools knockout final against Rondebosch. This is the 3rd consecutive year that Bishops has won this event. 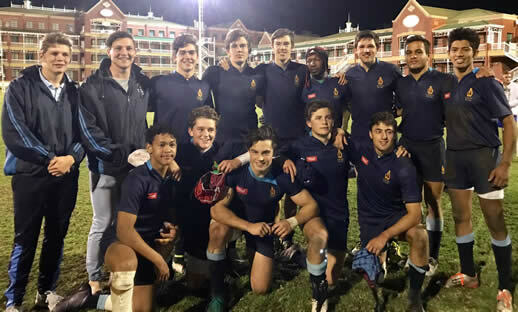 The U19A 7s rugby team had a brilliant win in the Villagers 7s competition. Bishops has a proud record in this event, having won it twenty two times in its 49 year history. This year was the first win since 2009, a great effort by our boys. The boys have enjoyed the more relaxed and enjoyable inter house hockey, soccer and rugby events over the past week. These events are always played in a great competitive spirit between the houses. On Wednesday 13 September, the Bishops Trust celebrated the legacy of a courageous young man, Hamilton Mvelase.The Hamilton Mvelase Bursary Fund will provide an opportunity for talented young boys from previously disadvantaged communities to receive a Bishops education, one they would ordinarily be unable to afford. The evening was a wonderful success and was attended by members from all the Bishops constituencies. 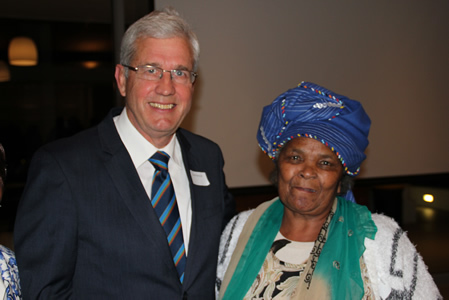 We were honoured to have the Mvelase family present. Mrs Mvelase expressed her gratitude and took comfort in the fact that Hamilton’s legacy would live on through this worthy cause. Tributes to Hamilton were paid by John Gardener, Principal at the time and Moshe Apleni, who is currently a member of the Bishops Council. To view photos of this wonderful event please see here. The Trust Facebook page has also gone live today and we encourage you to please like this page if you wish to follow the progress of the campaign. Please follow the link for more information on the 175 Campaign. One of the responsibilities of the Grade 11 parents each year is to organise a fundraiser for their boys’ Matric Dance the following year as well as a charity. This year, the Grade 11 Bishops Parents Party Committee are committed to raise funds for both The Bishops Bursary Fund and the Matric Dance in 2018. An important part of the fundraiser is the online auction which is open for bidding and has many wonderful items generously sponsored by the Bishops community and beyond. Please go to www.bishopsparentsparty.co.za to bid. Tickets are on sale to all grades for the Bishops Parents Party on 29 September which is always a magnificent affair. Please support this very worthwhile cause. What a wonderful legacy Bishops families can leave the College, knowing that they have provided bursaries to boys that would not otherwise have been able to attend Bishops. Please see the attached notice regarding MySchool card. On a sad note; we heard the news yesterday that one of our Life Sciences teachers, Cheryl Douglas, had been diagnosed with lymphoma. Cheryl is currently undergoing further tests to determine the extent and type of lymphoma which will inform the treatment regime. Our thoughts and prayers are with Cheryl and her family at this time. I wish you all a blessed and happy weekend.